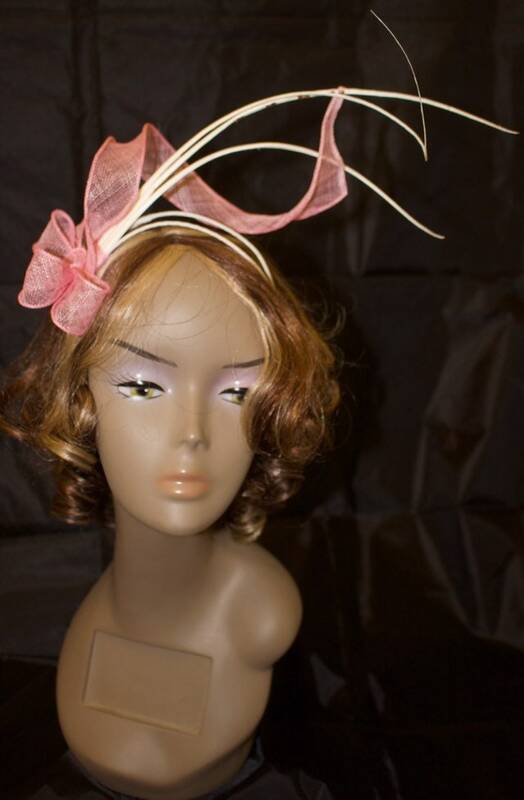 Fascinator handmade with pink sinamay bow on headband and trimmed by curled feathers and Swarovski Crystals. 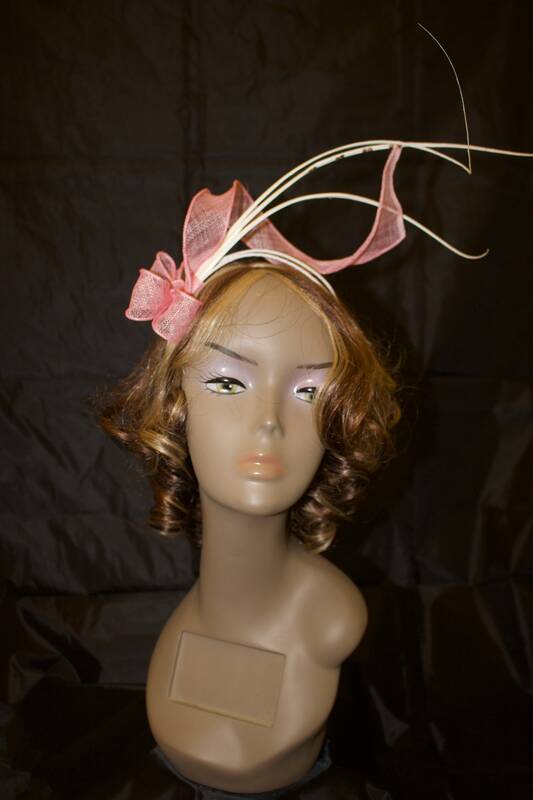 Sinamay for all my hats and fascinators is hand dyed in my studio, with hand rolled edges. 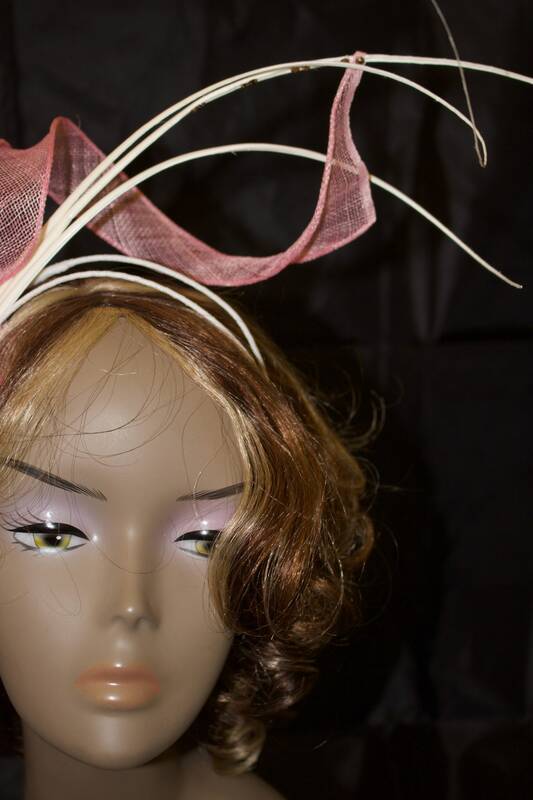 Fascinator is shipped in hatbox so you can store it while not in use. 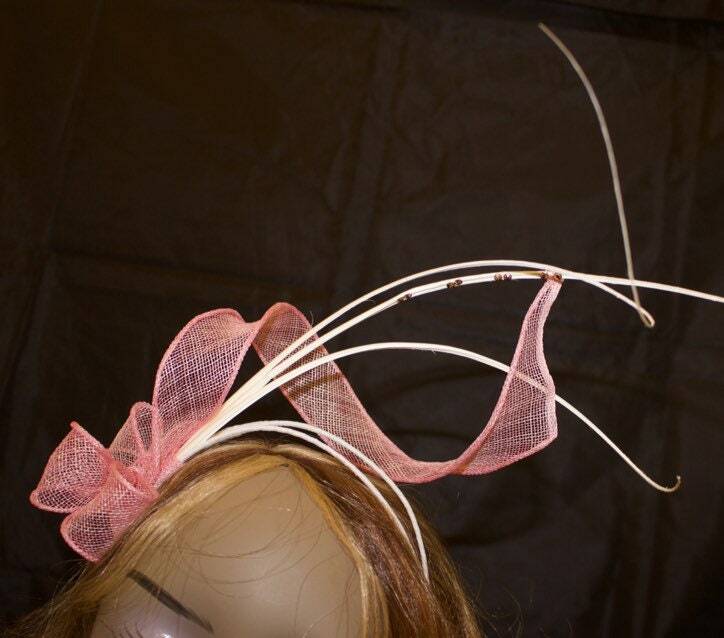 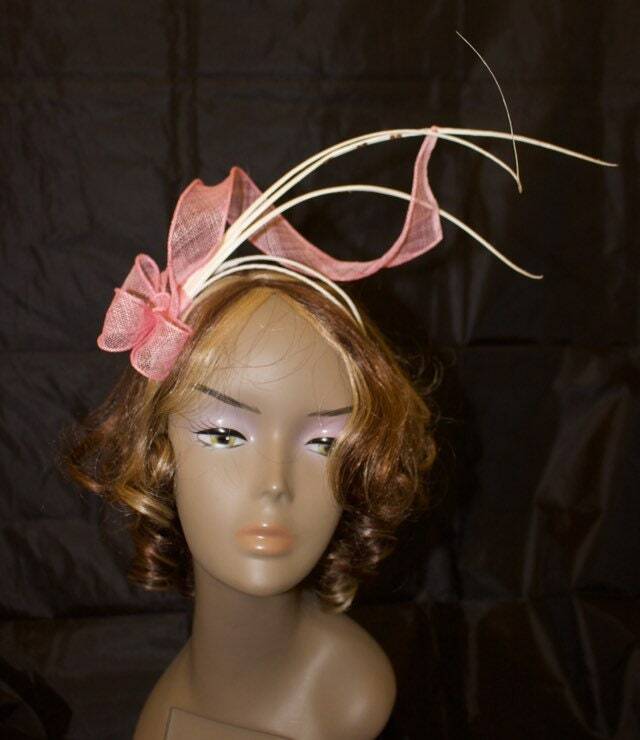 With racing season fast approach it is convenient that this fascinator is ready to ship in pink and white color however if you are required other color it could be customizable. 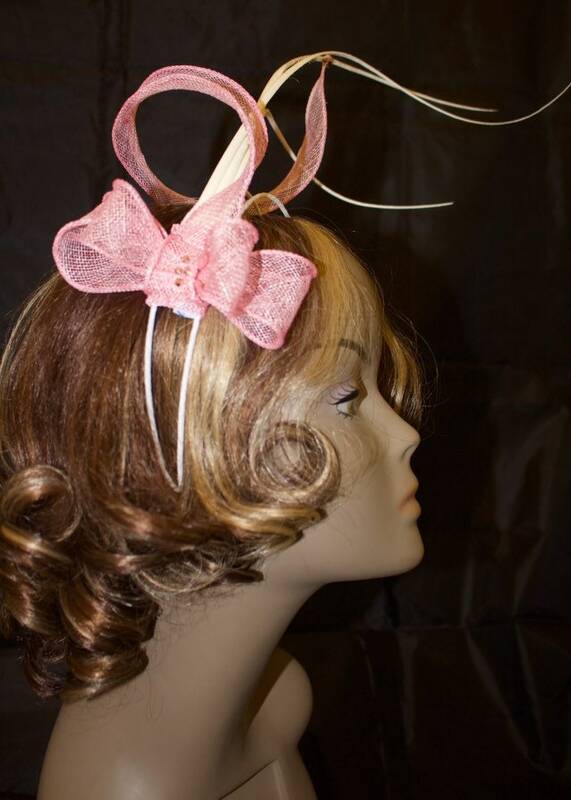 You can send me a custom request for required color and I will dye sinamay to match it. 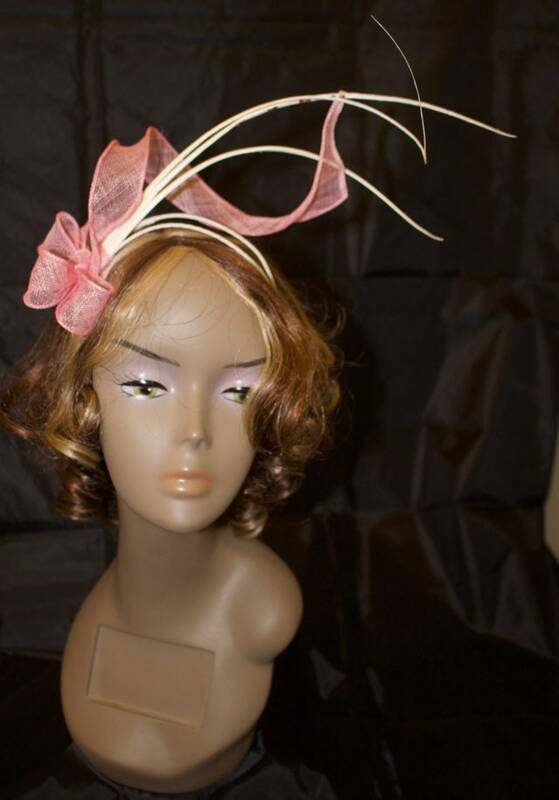 You also can send me a fabric swatch via post so perfect match can be achievable. 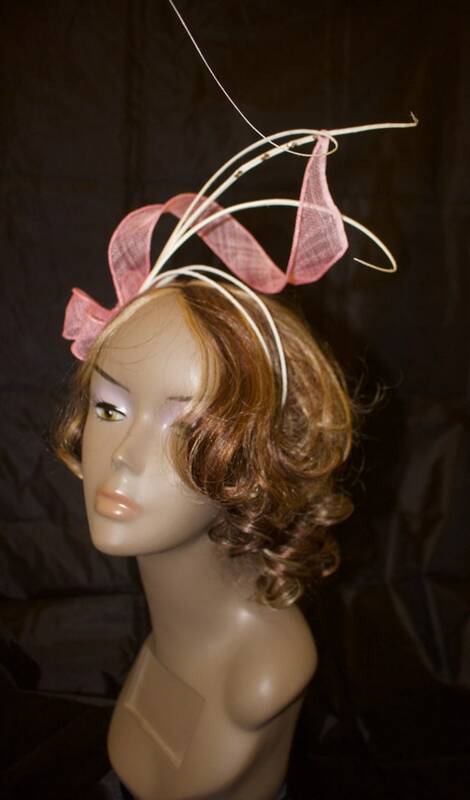 Please have a look on my other millinery creations to find more.